You could see the world from Greenwich Marsh. Before 1800 most of Greenwich Marsh was let to commercial interests by corporate land owners. It had a management board - their earliest preserved minute books are from the 1630s - who employed a bailiff and staff. Over on the west bank was a Government owned gunpowder depot, otherwise there was a few huts and barns. And that was it. However lonely and isolated we might think the area was then - it was very directly in touch with the rest of the world in a way few other places could be. It is surrounded on three sides by the Thames where a constant procession of shops and barges made their way up to London, and down river, going about ever possible sort of business. Right opposite is Blackwall - where numerous voyages began and ended - and where the Pilgrim Fathers left to kick start America. Across the river was the Blackwall depot of the East India Company - and anyone standing near the future site of the coaling jetty in 1800 would have seen great East Indianmen - ships at anchor and the tideway. We need a leap of imagination to understand what they were like - these vast hi tech vessels had gone out to plunder the world, and founded an empire. To the people in the lands to which they had travelled they must have seemed like something from another world and they brought the riches of the world back to the Thames. All around were shipyards where great warships were built - along with commercial vessels of all sorts, large and small. To the observer from the site of the coaling jetty - Busgby's Hole - all of it was an everyday site. 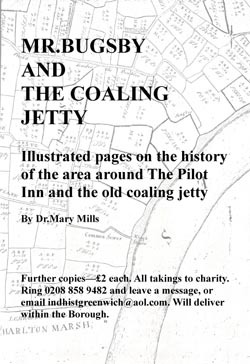 This is an extract froma new book called 'Mr Bugsby and the Coaling Jetty' by Dr Mary Mills. 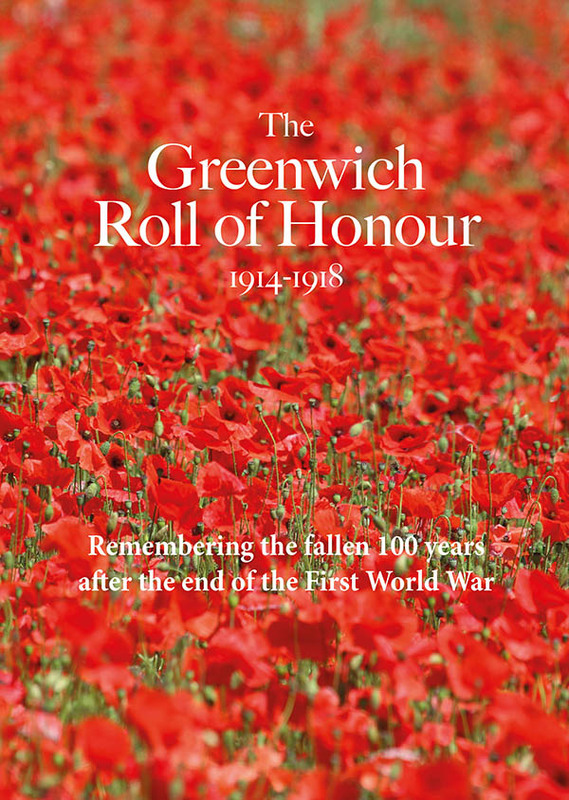 It is available from East Greenwich Pleasaunce cafe, the Pilot Inn, Greenwich Communication Centre and Greenwich Peninsula Ecology Centre.